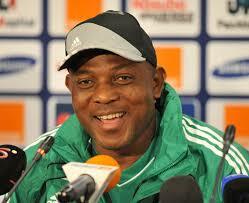 Keshi: Win or lose in Congo, I dey kampe. Super Eagles head coach, Stephen Keshi, has declared that his future with the team does not depend on the outcome of this weekend’s game against Congo. Keshi who spoke after yesterday’s workout in Abuja ahead of the team’s departure today for Pointe Noire said he is not banking on getting a result in Congo to keep his job. Meanwhile, returnee striker, Ikechukwu Uche, says he is not under any pressure to deliver, even as he pledged to do his best for the country. Uche pointed out that the round leather game is a team event and not an individual game.